Our company loves to work with natural stone. here is something about designing with material that was created millions of years ago that give one a sense of infinity and connectedness with the Earth. It is this love of working with stone that drives our staff to build interesting structures for our clients. Whenever possible we work with reclaimed stone such as, barn and bridge foundations, flooring, curbing and old wall stones. We examine and choose our material for interesting grain or unusual markings or colorings. Added to this, is our knowledge of the spiritual and metaphysical principles that make our structures so one of a kind and unique in function. The use of reclaimed lumber and old barn beams add a distinctive look when used alongside stone. Combining stone and wood accentuates the use of ‘spacial’ areas in the design, creating for our client a beautiful art piece that is both functional and mystical. 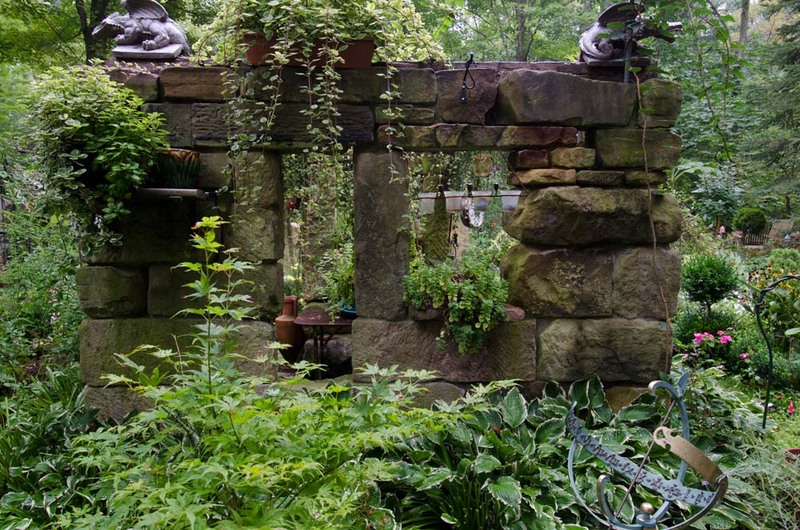 Whether used as a meditational space, a garden potting area or a whimsical place where the imagination can take wing is up to you. The possibilities for extraordinary designs are endless.